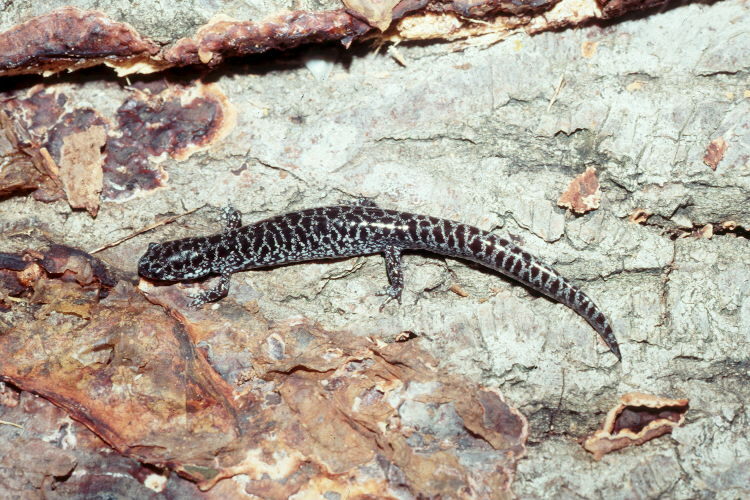 The Frosted Flatwoods Salamander lives in longleaf pine habitat, 97% of which is gone. Fire suppression has impacted this ecosystem and the native plants that rely on a regular, low-intensity fire regime. Forests in the southeastern US are cut down for wood products. Consider reducing your consumption of wood and paper, such as using reusable chopsticks: Chopsticks for Salamanders! Millions of trees are cut down yearly for chopsticks, all of which could be left standing to provide habitat for salamanders if we choose reusable ones instead! Flatwoods Salamander life cycles are intimately tied to seasonal rains that fill their ephemeral wetlands. Over the past several years, shifting climates have prevented ponds from filling enough for larvae to metamorphose. Some of the best habitat is also in the Florida panhandle, which has been severely impacted by severe hurricanes. Assisted Metamorphosis and Captive Breeding can assure that developing larvae have suitable water and resources to complete metamorphosis. See here. Not a threat for this species. Phew! This one doesn’t yet require action. Look to the other threats for ways you can help this amphibian in need. Keep up the good work! In general, invasive species are not considered a major issue throughout the range, but in the Florida panhandle, its most viable habitat, invasive boars destroy suitable salamander habitat. Support local agencies and politicians that consider controlling invasive boar populations and include prescribed fire as a part of a healthy environment to try to create healthy habitats for Frosted Flatwoods Salamanders. Unknown threat of the spread of disease on this species. The North American Bsal Task Force is coordinating responses to this devastating disease. Disinfecting clothes and equipment when traveling between wetlands is essential to stop the spread of disease. See here. The species is possibly extirpated from South Carolina and Georgia and likely only lives in 20 wetlands in Florida. Flatwood Salamanders live in wet longleaf pine savanna flatwoods. Wiregrass is typically an important part of their habitat. They breed in ephemeral wetlands. Click here for map legend. Maps courtesy of NatureServe. Unlike most other members of the Mole Salamander family who lay their eggs in water, Flatwood Salamanders generally breed in the fall and lay their eggs on or in dry vegetation to eventually get submerged as ponds fill with water. This species was split in 2007, when the Reticulated Flatwoods Salamander (Ambystoma bishopi), found west of the Apalachicola River-Flint River system, was recognized as its own species. Amphibians were graded based on their population status, occupied habitat, and vulnerability to threats. These report cards are living documents that change based on the latest amphibian expert opinion received through the Amphibian Report Card website. We rely on experts to keep the information up-to-date. If you're a species expert, share your expertise here. To learn more about how amphibians were graded, click here. Do you have additional information to add to this report card? Become a contributing expert! You must Register or Login to post a comment. Questions? Contact us. Yes! I'd like to be notified when new Report Cards are published. Copyright © 2018 Amphibian Report Card. All rights reserved. Website designed and maintained by Mother, Baker, Website Maker. Yes! I'd like to receive an email when new Amphibian Report Cards are published on this site.